Reasons To Buy - ComplianceForge Has Products For Your Needs! If you are wondering "Why ComplianceForge?" you may be interested to know that CIOReview magazine ranked ComplianceForge in the Top 20 Most Promising Compliance Solution Providers for 2017! We Have A Solution To Keep You Secure & Compliant! The most compelling reason to buy from Compliance Forge is that we have invested thousands of hours into our Information Security solutions with one goal in mind - to help our clients get a handle on their Information Security needs. As Information Security professionals, we live and breathe security on a daily basis! Our driving ideal has been to remove the complexity of information security policies, enabling you to implement our solutions as easily as possible. If you look at the examples, you will notice the level of thought and detail that goes into our offerings. We offer solutions that are tailored to your business. For the prices we charge, you simply will not find comparable, comprehensive IT security policies. Granted, there are websites with lower cost security policies, but they are incomplete when compared to our Written Information Security Program (WISP) or PCI DSS Policy. When we see competing solutions offering "Bronze, Silver & Gold" package levels, we know we are doing the right thing by providing solutions that are rooted in the actual requirements and best practices - we know that "a standard is a standard for a reason" and anything less could leave you exposed. We fundamentally disagree with models that offer varying levels of compliance coverage, since the lesser versions offer only partial coverage to businesses that buy them. Partial solutions are less than what would be considered "industry-recognized best practices" and are simply a waste of your money. Additionally, they should be avoided since they fail to comprehensively offer protection from both a compliance and holistic security program perspective. Our Written Information Security Program (WISP) and Digital Security Program (DSP) offerings are a professionally-written and cohesive compilation of Information Security policies, standards, procedures and guidelines designed with one purpose in mind - to secure your business with written information security policies that will meet your specific legal requirements. The WISP and DSP are founded on industry recognized best practices. Each control objective has a documented reference to its specific source of best practice so you have the ability to prove your policies are supported by industry standards. We know the policies you need to have in place to meet the requirements for compliance. We follow proven, internationally-recognized standards for what Information Security policies should consist of. Many competitor sites unfortunately offer solutions that will leave you exposed and unprepared - when keeping your company in business and protected is the priority, there is no room for amateur solutions. 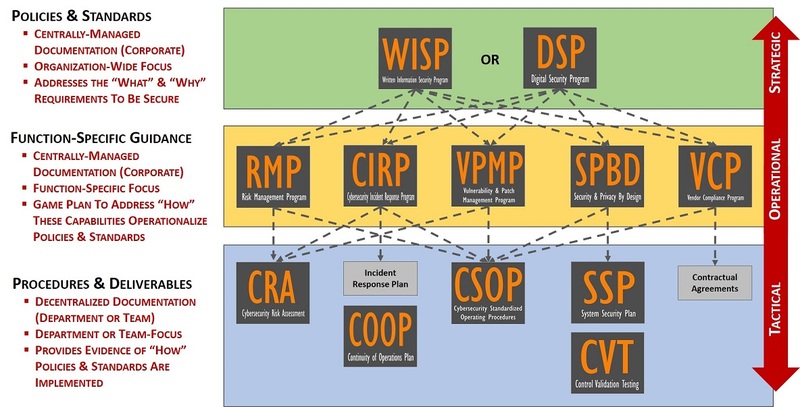 The Written Information Security Program (WISP) and Digital Security Program (DSP) stand out from the competition in their coverage, depth, and price.